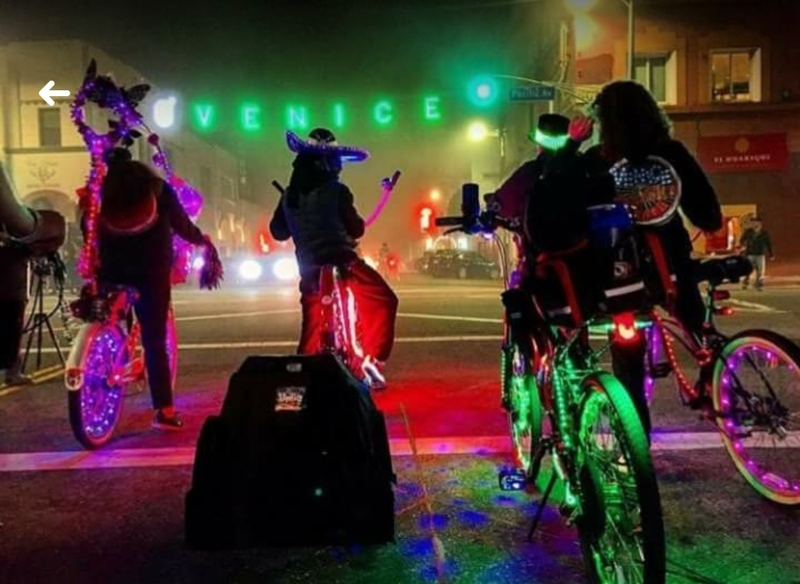 » Ride with the Venice Electric Light Parade every Sunday! 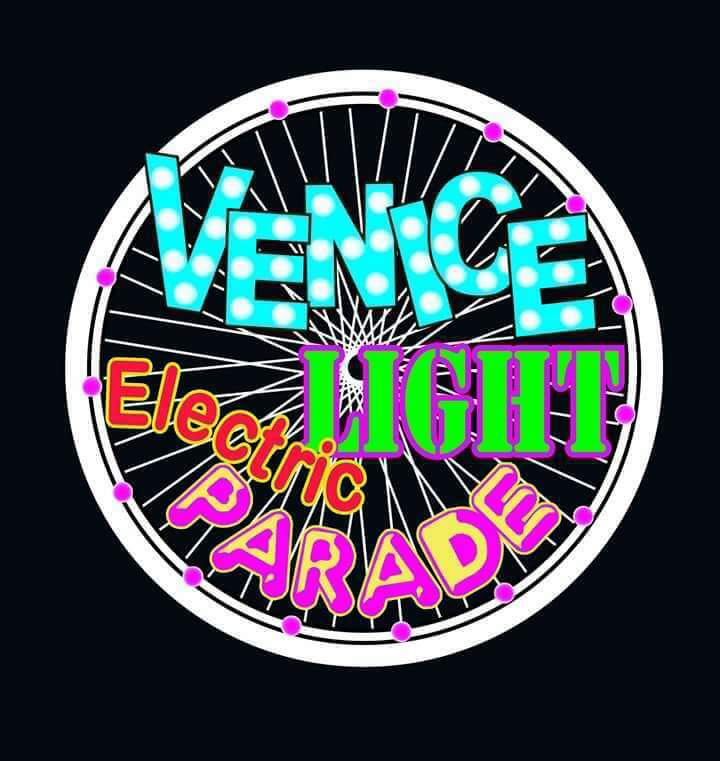 Join Marcus and Venice locals every Sunday for the Venice Electric Light Parade. Everyone is invited to Sundays@Sunset!!! Family friendly! 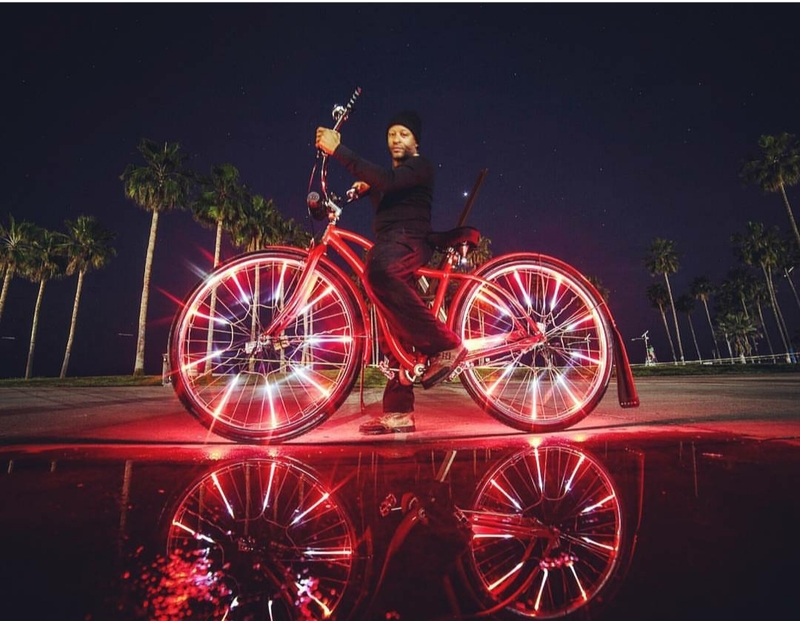 Need lights for your bike? Safety lights and wheel lights will be available for purchase. Meeting location: Windward Ave by the flag poles on Oceanfront Walk (the Venice Boardwalk). Use 23 Windward Ave. Venice, CA 90291 for reference. Click on the video play button below to view the experience!